Upcoming Aussie drama The Kettering Incident is set to follow on from Secret City on the Showcase channel, when it airs at 8:30pm Monday July 4. Described as “a gripping mystery with otherworldly overtones” the 8 part series recently won the Special Jury Prize at the prestigious Series Mania Festival in Paris. Starring Elizabeth Debicki with Matthew Le Nevez, the production from Porchlight Films in association with Sweet Potato Films was shot entirely in Tasmania. The cast also features Henry Nixon, Anthony Phelan, Damon Gameau, Damien Garvey, Sacha Horler, Sianoa Smit-McPhee, Ben Oxenbould, Suzi Dougherty, Tilda Cobham-Hervey, Dylan Young and Neil Pigot, plus Tasmanian-based performers Alison Whyte, Kris McQuade, Brad Kannegiesser, Katie Robertson, Marcus Hensley, Nathan Spencer and Matt Burton. 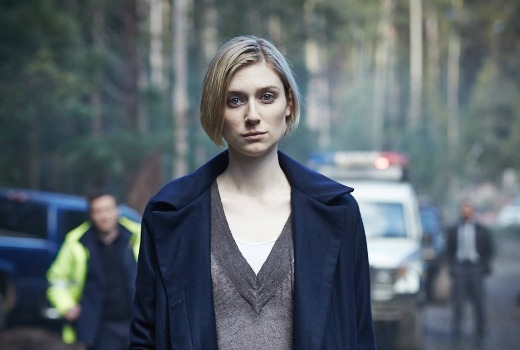 Foxtel Executive Director of Television Brian Walsh said “The Kettering Incident is a fascinating drama which is rich with mysteries evoked by the wild and remote Tasmanian locations and bursting with an amazing cast led by Elizabeth Debicki. Anna Macy (Debicki) left Kettering when she was just 14, shortly after her best friend disappeared when they were playing in the forest. When Anna returns 15 years later the town is struggling to survive. The community is being torn apart by clashes between environmentalists and loggers. Anna’s reappearance causes a stir. Theories and rumours persist about what really happened to the girls that night – from Anna killing her best friend to alien abduction. Then another girl disappears. Anna is drawn to discover what really happened, uncovering secrets buried deep in her mind and the heart of Kettering and its people. The Kettering Incident is produced by Porchlight Films in association with Sweet Potato Films – producers are Sheehan, Madden and Andy Walker. Madden is also showrunner and her fellow writers are Andrew Knight, Cate Shortland and Louise Fox. Directors: Rowan Woods and Tony Krawitz. Executive producers: Foxtel Head of Drama Penny Win, Liz Watts and Anita Sheehan. The Kettering Incident was commissioned by Foxtel with investment partners Screen Australia and Screen Tasmania. Foxtel holds UK and New Zealand distribution rights and BBC Worldwide holds global distribution rights. Mondays at 8.30pm from July 4 on Showcase. I’m going to assume Sianoa Smit-McPhee is Kodi’s sister. Yes she’s done Neighbours and US shows such as Hung.